At The Killino Firm we know traumatic brain injuries. We recognize that head injuries and trauma often change our clients’ lives forever. As a result, we provide personalized and caring representation, while zealously fighting for our clients at every stage of their cases, including trial, if necessary. The Killino Firm’s highly trained and experienced legal team have a proven track record of success in handling brain injuries on both the individual and national level. 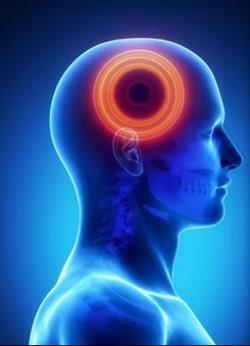 We employ a team of attorneys, paralegals and investigators knowledgeable about brain injuries. We also understand that our clients have suffered serious, at times catastrophic injuries, and need a law office that will deal with the insurance companies and guide them and their families through the maze of medical care and treatment that they face. If you or a family member has suffered a traumatic brain injury, contact the experienced attorneys at The Killino Firm today. From CNN to ABC and around the world, we make the news because we are dedicated to ensuring America is safe and secure. 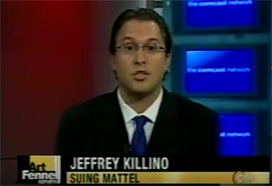 Take a look at The Killino Firm in the media. There are many causes of traumatic brain injuries, including car crashes, truck crashes, product defects, construction accidents, or another person or company’s negligence. Brain injuries can happen anywhere at anytime. Some occur on the job while others are the result of automobile or motorcycle crashes involving drunk drivers. Sadly, traumatic brain or head injuries can occur almost anywhere, and generally result in long-term disability or even death. In some situations, the effects of these brain injuries are not obvious right away, develop over time, and can be very difficult to diagnose. Invariably, these injuries impact not only our clients, but also their family, friends and co-workers. A brain injury occurs when a person’s head hits an object, causing internal or external injuries including damage to the skull, scalp or brain. Individuals who have suffered traumatic brain injuries hire The Killino Firm because they know we will fight to assure that our clients will receive all of the compensation they are entitled to. At The Killino Firm we go the extra mile in every case. We treat every brain injury matter with the same intensity that we have the Chinese tire recall and the Mattel class action. When something goes wrong, the lawyers and staff at The Killino Firm are prepared to investigate every aspect of the accident in order to discover not only what happened, but why. Using cutting edge technology, we evaluate every option until we determine who was responsible, and then we proceed aggressively so our clients receive all of the compensation they are entitled to. That’s The Killino Firm Difference. When you need a lawyer who will exhaustively investigate your traumatic brain injury and make sure that every responsible party is held accountable, contact The Killino Firm, where Keeping America Safe is our primary goal. To speak with one of our attorneys, call us toll free at 877-875-2927, or send an email to a brain injury lawyer today. We will respond promptly to your inquiry so that you can experience The Killino Firm Difference.